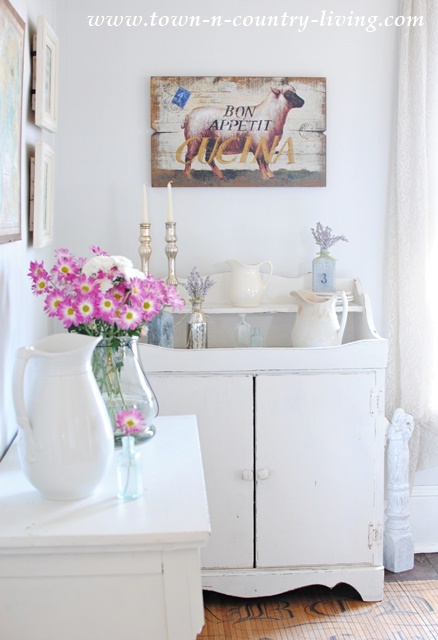 Spring is officially here so I thought I’d give you a tour of my spring decor in my home. 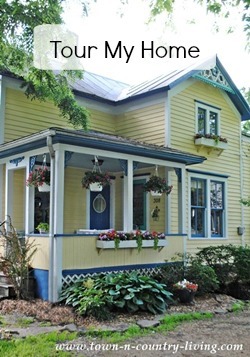 I’m joining several other bloggers to share our homes with you all week long! 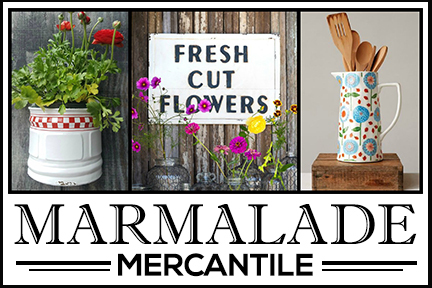 We worked with Kirkland’s who let us pick a few items from their store to help decorate. How fun is that? You’ll find links to the participating bloggers at the end of this post but for now, let me show you my spring decorating done in farmhouse style! Let’s start in the family room because I’m still loving my white sectional and this is currently my favorite room in the house. The light colors lift my spirits and I love that I can easily change the look in here with just a few accessories. 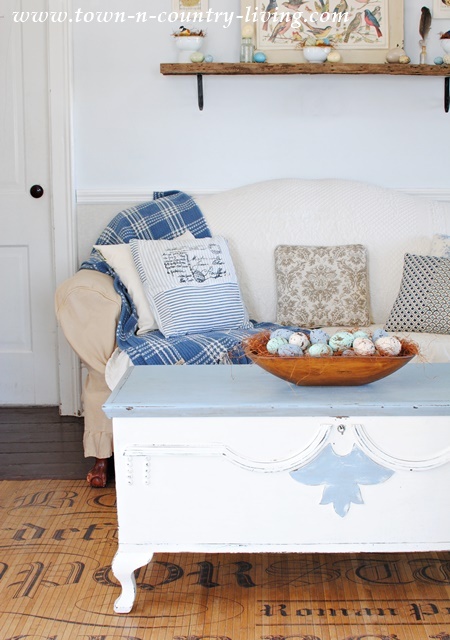 Swapping out pillows is the easiest way to freshen up your decor for spring. I chose primarily light blues. 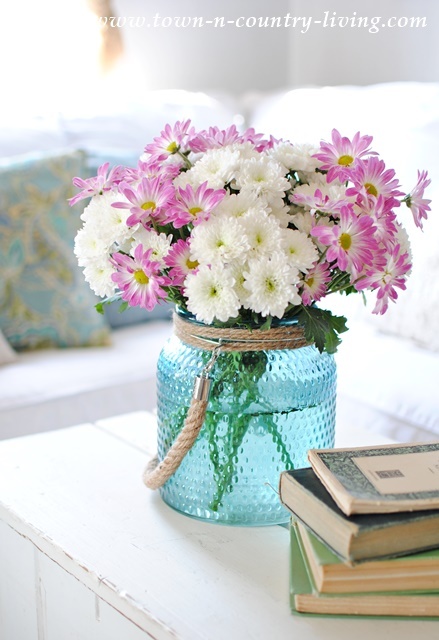 My spring bouquet is tucked inside a blue hobnail glass lantern that I ordered from Kirkland’s. I actually got 3 of these to either group together or use separately in different rooms of the house. A smaller bouquet resides on the end table next to the sectional. I added one of my spring bird houses that I showed how to make a couple weeks ago. I always have a stack of vintage books somewhere in the house. I just love the way they look. Next up is the living room. 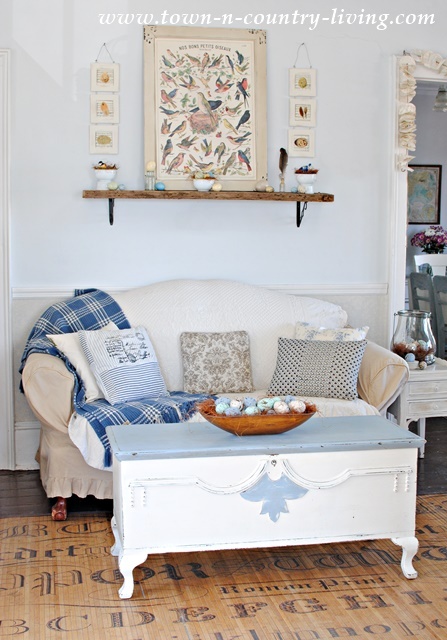 I haven’t done much in the way of spring decorating in this room, other than to create a bird themed spring mantel. I’m in the process of re-thinking this room and want to change it around. The room needs to be rearranged and I’d like to get a new chair in here too. 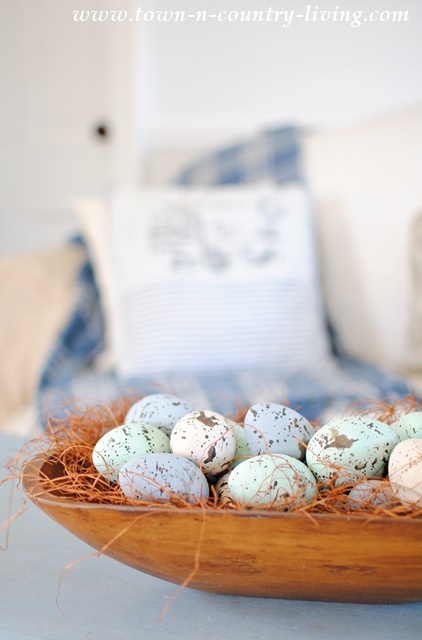 The other day I painted these speckled eggs and will share the tutorial soon. I placed them in my wooden bowl along with some twiggy stuff (I don’t know what you call it) to look like a nest. This gorgeous clear-glass lantern is also from Kirkland’s. 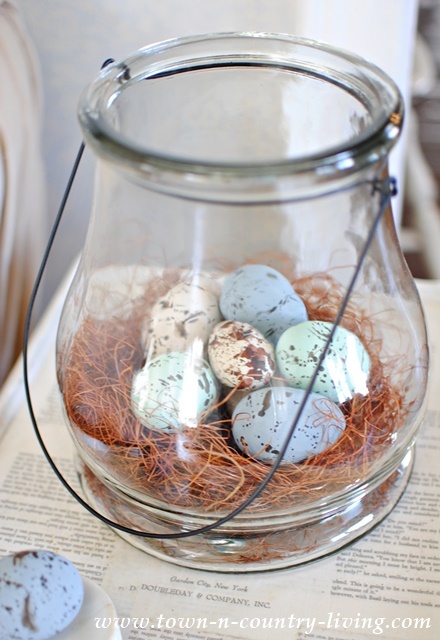 I created a makeshift bird’s nest inside with that same twiggy stuff and more of the eggs I painted. 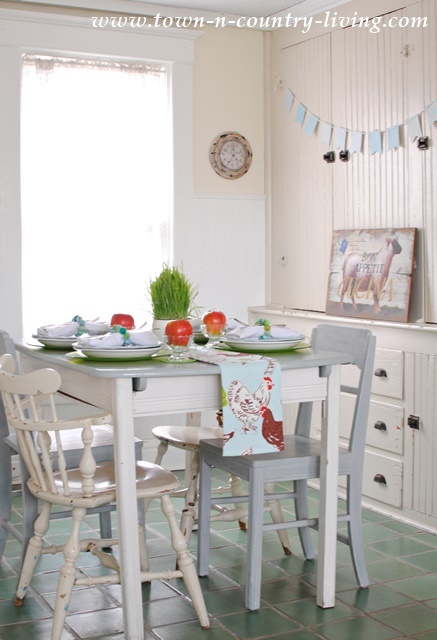 You can see I kept the same, soft spring color palette in the dining room. Do you notice anything different in here? 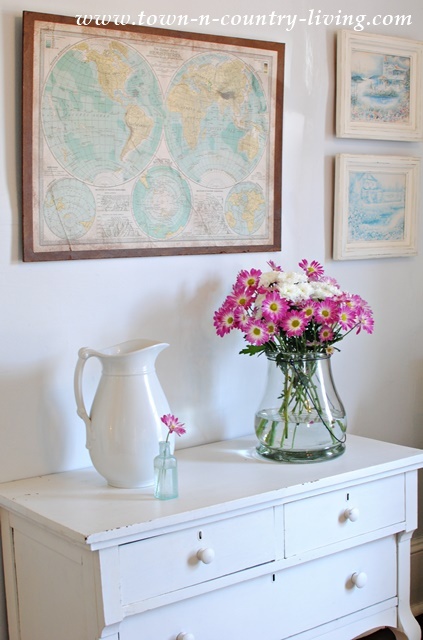 I hung the vintage map in the dining room that I found last summer at the flea market. Another glass lantern from Kirkland’s holds more spring flowers. I also moved my lamb sign from the kitchen into the dining room. I’ve been wanting to hang it in here for the longest time, so finally replaced a vintage mirror with it. Now I just need to figure out where to put the mirror! On the other side of the dining room, my hutch wears a spring wreath. I’ll share how to make it next week! Another one of the hobnail lanterns holds a pillar candle on my dining table. Just a touch of blue! On the working side of my kitchen, I don’t do a lot of decorating for the seasons. This area has to be functional but it’s fun to bring in a few pops of color. 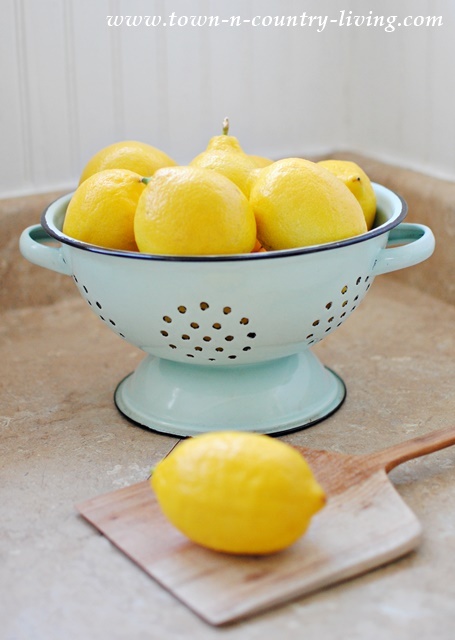 Lemons piled into my aqua enamelware colander provide color and pleasing scent while I’m cooking. I think I’m going to make some homemade lemonade with these lemons. They’re almost too pretty to eat though. 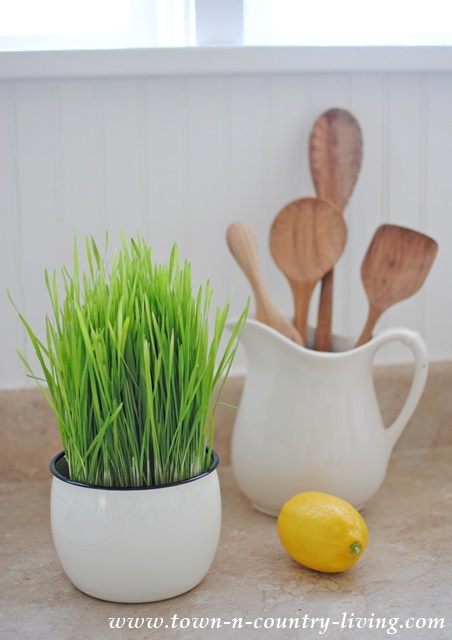 Our local grocer is selling wheat grass and I love the color it adds in the kitchen. We can cut some of it off and use it in smoothies. Hubby is on a health kick these days! My rosemary plant got moved to the stove … but only for the photo. The heat from the oven would be too much for this plant. 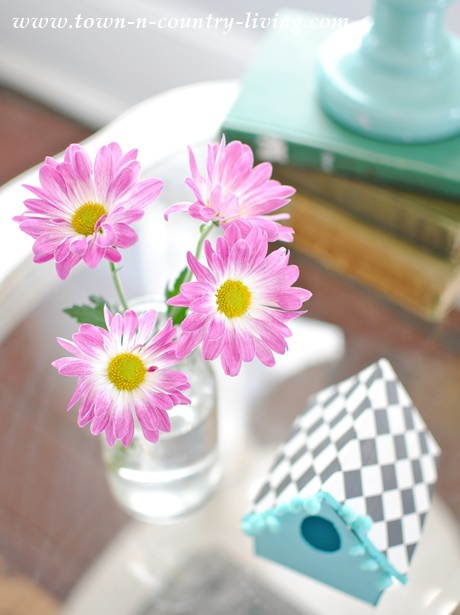 Last week I shared my spring breakfast nook. 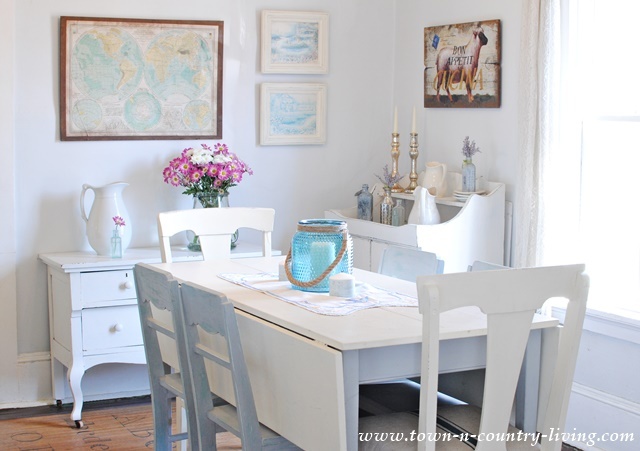 I’m still in love with that kitchen towel table runner with the chickens on it! 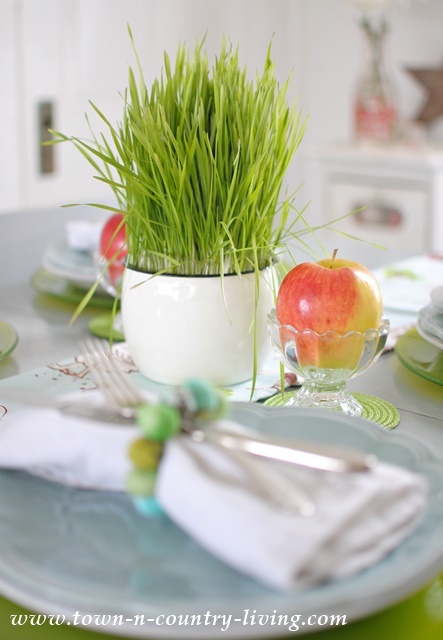 I used my wheat grass for the centerpiece. I like low-key centerpieces. If they’re too tall and elaborate, you can’t see the people on the other side of the table. And finally, the bedroom got some sprucing up with vintage-style handmade pillow cases. I love the pinks and greens together, with the fun trim on the ends! 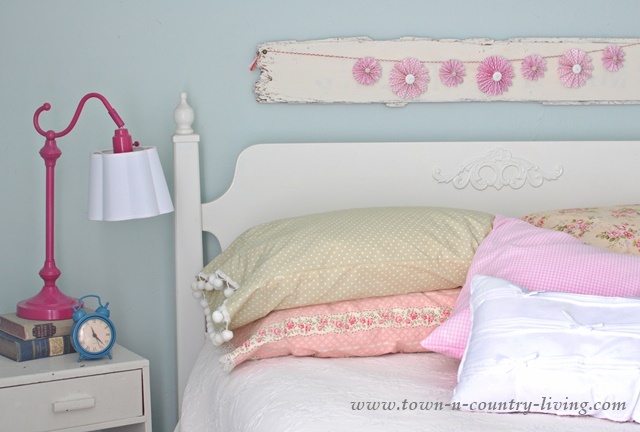 A pink banner adds a little more pink to the springtime bedroom, along with the table lamp. Enjoyed the tour, Jennifer and I love the chickens towel runner you made. Good Morning Jennifer, What a lovely way to start Monday morning, by taking a tour around your beautiful home. The colours you have chosen are so lovely. I cannot wait for Spring to arrive here in England…. it will be a little while longer as it is still very cold here in the North of England. ABSOLUTELY BEAUTIFUL Jennifer!! I kept scrolling up and down to make sure I didn’t miss anything! Soo pretty! I love it!!!!!! 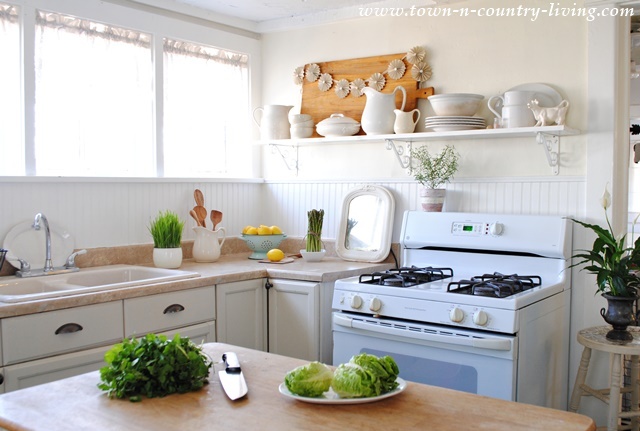 Hi Jennifer, Your home looks so fresh and bright! LOVE the little touches of spring! It can’t come soon enough for me. As always I love love love touring you beautiful home! Jennifer! Gorgeous!!! I think the living room with those fabulous pillows is my favorite but I really love the pillow cases on the bed, your dining room, etc! It was all so bright and cheery! I love all your pops of blue and pink, Jennifer! So pretty! so pretty and fresh and I love all the pops of color. I wish I could decorate for Spring but no such luck with the remodel going on! I will have to live vicariously through blogs like yours! 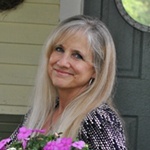 Jennifer, I love all the special touches you have in your home! Awesome photography as well. Happy Spring. Love how light-filled your home is! 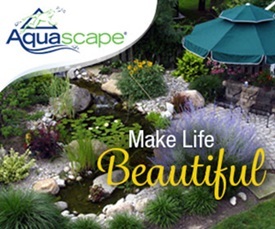 Your home looks beautiful all dressed up for Spring, Jennifer! Your living room looks wonderful. That beautiful sectional suits the room so well. I just love that clock! I love how it brings the blue up a bit from the blue vase and the blue in the pillows on the sectional. Everything looks so pretty, Jennifer! Blue is my favorite color, so I love it all! 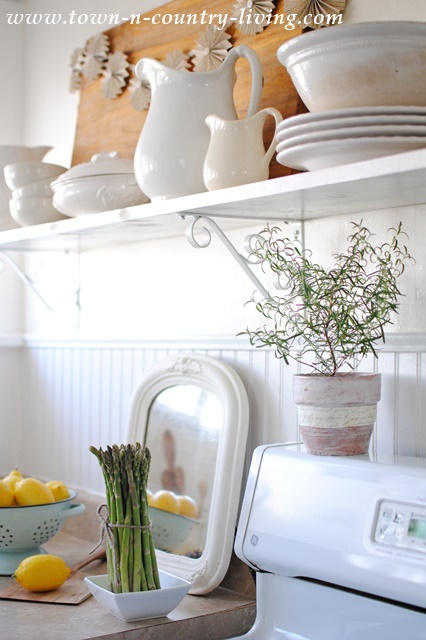 Your spring decor is so fresh and pretty! Just like a breath of fresh spring air! 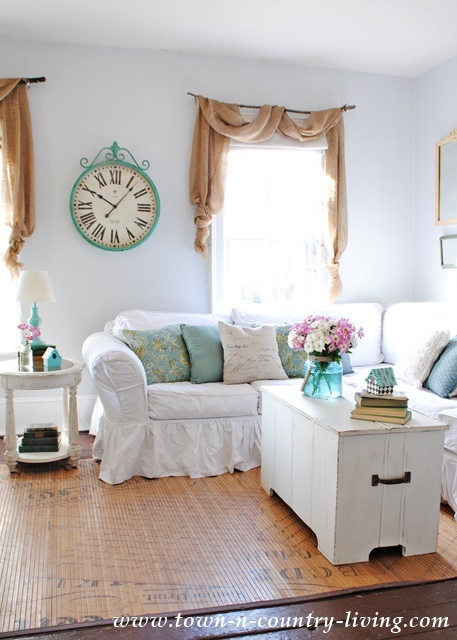 LOVE it all, so fresh and inviting, the light colors and pops of blue are soooooo pretty…..where did you get that blue check throw in your living room ?? ?Love it !! 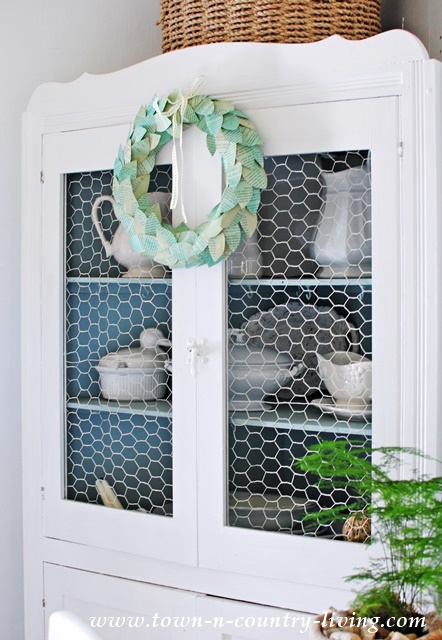 How did I miss that blue hobnail?! I’m so literal… probably saw it as a votive and kept on moving. LOVE your flowers. I’m SO glad I’m not the only one who plants grass in containers this time of year… I’m a little obsessed. 🙂 Your home is beautiful!! 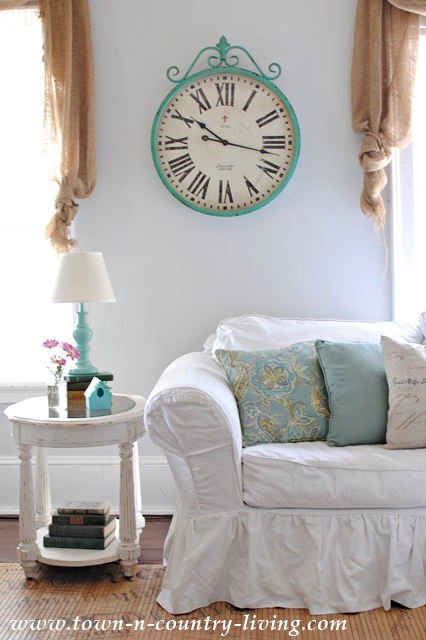 The birds… the turquoise clock… amazing! So light and bright and crisp, Jennifer… Just lovely!! I just love, love, love your home! You are the best decorator I have ever seen! I could look at your pictures all day long. Thanks for sharing, Jennifer! Beautiful, Jennifer! I so adore your lovely home. So beautiful, but still looks cozy and comfortable. So beautiful Jennifer!! 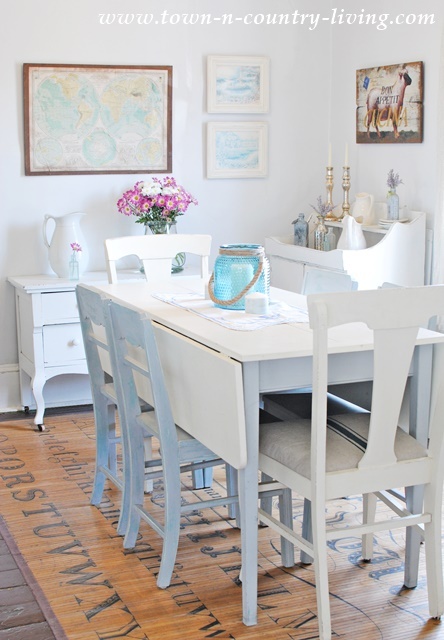 I love the fresh bright touches- the blue is perfect for spring (or all year, really- I love blue!!). Everything looks so fresh and beautiful. Jennifer. I love the pillows on the couch! Soft, serene, it feels like spring. Gorgeous Jennifer. Such a beautiful home tour – I loved it all! Especially all of your lanterns from Kirkland’s. (I’m obsessed with their glass lanterns as well.) 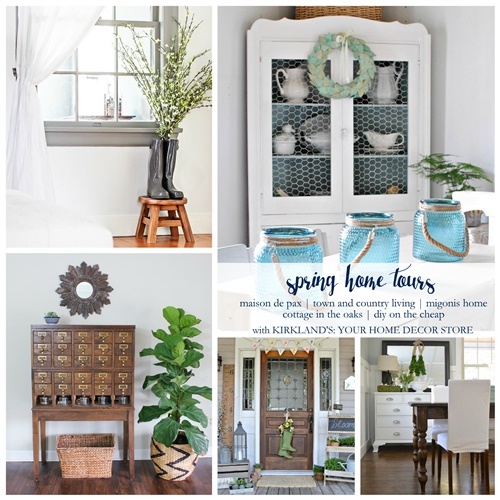 So fun being a part of this spring home tour with you! How absolutely charming your house is. I love the beautiful pictures. 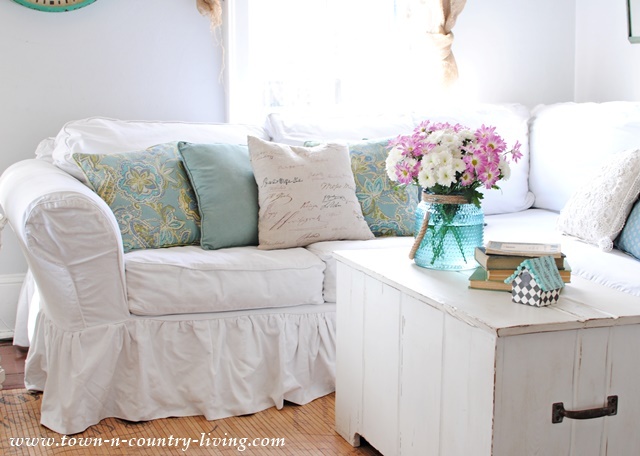 It makes me want to re-do my house for Spring. Everything looks so perfectly “springy”. I love the colors and that clock on the wall is absolutely adorable! Gorgeous Jennifer! 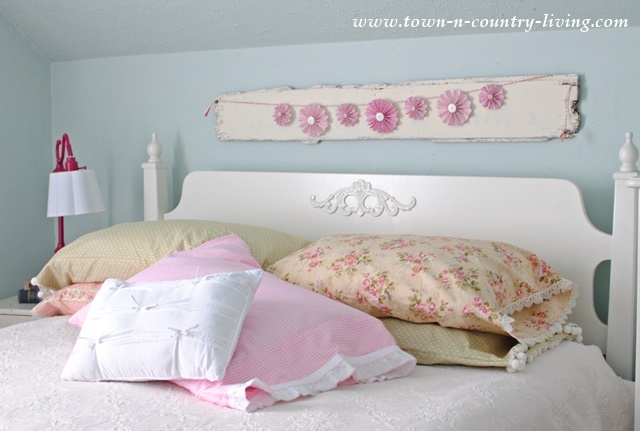 I love all the blues, and the addition of pink in your bedroom. The buntings are really sweet! Gosh!! I just love how you decorate your home! It’s so soft and pretty and so very simple which I like! I love EVERYTHING in this home tour! Great job!! Jennifer, what is the color of your pale grey walls in your living room?